In response to calls from residents to preserve one of the country’s most beautiful natural escapes, community forum I Love Qatar is hosting a clean-up of the mangroves on May 30. The event will take place on the morning of Friday, May 30 at the Al Thakira mangroves near Al Khor, and all are invited to help. Last month, long-term Qatar resident Peter posted a short film about the state of the mangroves, after he visited the site and was shocked by the amount of garbage he found. He said he wanted the video to remind people to treat Qatar’s areas of natural beauty with respect. Qatar is home to the Avicennia Marina, also known as the grey mangrove or white mangrove tree, communities of which form forests around Qatar’s shores. 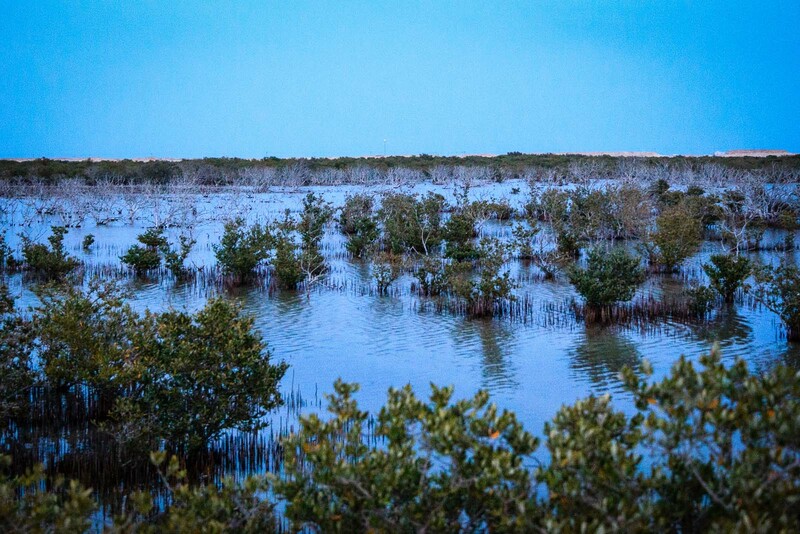 There are at least eight mangrove sites in Qatar, and all are protected by a 2006 Emiri decree. The plants play a vital role in helping to reduce climate change because they absorb up to 50 times more carbon than a similar area of tropical forest. They also offer a safe breeding place for many varieties of fish. These mangrove swamps are home to a wealth of life, including a new species of sea slug that was found in 2007 by a member of the Qatar Natural History Group. Al Thakira and Al Khor has the largest and oldest mangroves in Qatar. So far, some 70 volunteers have signed up to participate in the clean-up on a Facebook page about the event. Children are also invited to participate. “A group of us visited the mangroves recently and we were really shocked at what we saw. This is an important and beautiful natural site which should be protected, but instead there was garbage everywhere. Al Haroon said he was delighted with the immediate response from the community. “We want to let people know that Qatar has these beautiful mangrove eco-systems, which play a crucial role in our environment. We want to spread awareness about the importance of looking after them,” he added. The meeting point will be the petrol station on the way to Al Khor (past Qatar University) at 7am, to arrive at the mangroves at 8am. The clean-up should finish around 10am. Organizers will provide garbage bags, gloves, refreshments and t-shirts, but volunteers are advised to bring their own hat, sunscreen, comfortable shoes and a towel. Although it is illegal and punishable by a QR500 fine, littering is a common problem in Qatar’s beaches and deserts, particularly at weekends. As part of that awareness drive, advertising billboards around Doha have urged people not to litter, spit or dump garbage in public areas. Will you be taking part in the clean-up? Thoughts?